Well, this past Saturday I locked Jim in the driver’s seat and we made another trip out to Marlborough, NH. 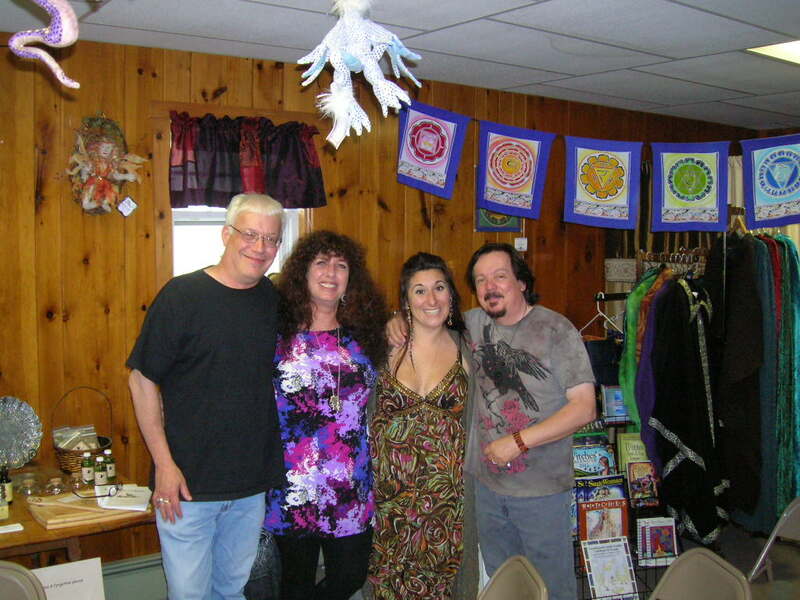 This time it was to attend the Midsummer Faerie Fest at Muse Gifts & Books featuring workshops from Raven and Stephanie Grimassi and Dawn Hunt of Cucina Aurora. At this point Jim and I are familiar enough with Marlborough to know to show up early enough for me to get an awesome, giant muffin and him a sandwich at Zeppelin & Kaleidoscope, and for me to have a little time to browse around Inkubus to see what’s new in stock for clothes and Mexican sugar skulls. However I didn’t have that much time to dilly dally because soon all the action was going to start over at Muse. As always I was enchanted by Muse. Kevin and Cynthia maintain such a beautiful store that has such a great energy, and trust me, I’m the kind of person that hates it when people say that some place has a “good vibe” or a “great energy”, but seriously, Muse really does have a wonderful energy thanks to the people who run it and many of the people who frequent it. Despite being there for the event I managed to again drop some cash. I bought Jim another big restock of Cucina Aurora Rosemary Olive Oil, another Crystal Journey Candle like I bought the last time I visited, and even though I’m swimming in fantastic looking review copies of books, I couldn’t resist buying a copy of “The Gates of Witchcraft” by Christopher Penczak. Damn you Penczak! Come on Copper Cauldron, can’t you hook a sista’ up with some review copies? 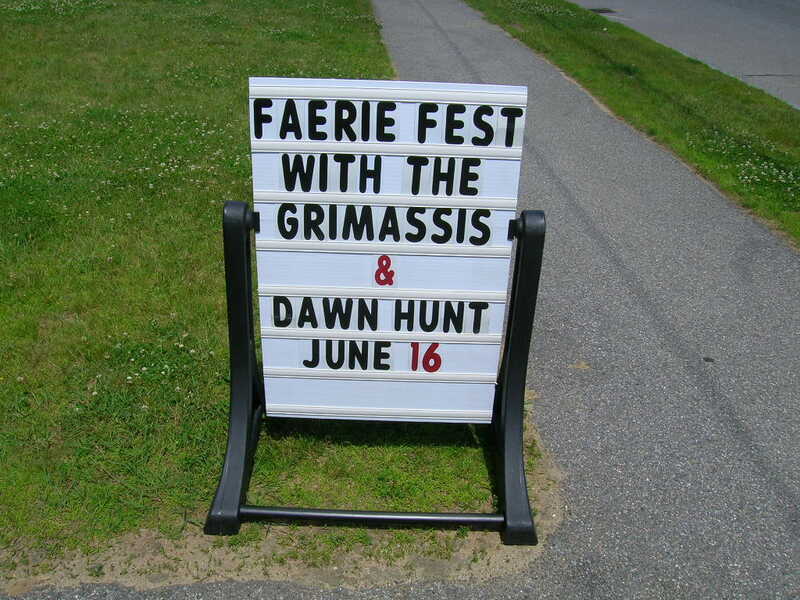 Let’s get this party started, first up were Raven Grimassi and Stephanie Taylor with their workshop “Journey to the Faerie Grotto”. I had seen Raven speak before at Celebrate Samhain, but never before with Stephanie. I don’t know if it was the subject matter, the more intimate setting, or Stephanie chiming in from time to time, but this was the best Raven Grimassi presentation I’ve ever heard. You may have heard him speak at Celebrate Samhain and thought he was good, but trust me, this was better. So if you weren’t at Muse this past Saturday you…..missed……out. The first part of the workshop was background information, and the second half was a guided meditation. I have done a few guided meditations when attending events and I have to say I had the most success with this one. Raven’s style is very casual and forgiving, which I mean in a complimentary way. He doesn’t let you get too hung up on things and perhaps that’s why it worked well for me. He’s very encouraging and motivating. Did I mention how you missed out in a big way if you weren’t there? Just in case you weren’t feeling you missed out enough, it’s time to talk about Dawn Hunt’s turn. For those of you who aren’t aware, Dawn Hunt is a Kitchen Witch and the woman behind Cucina Aurora. Cucina Aurora just launched their new website AND moved into a new office/warehouse space! She’s going to be a Witchy Martha Stewart one day, so you should totally get in on the ground floor of this thing. 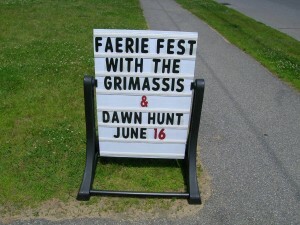 Anyway, Dawn spent time talking about foods associated with fairies and foods found midsummer and where those overlap. 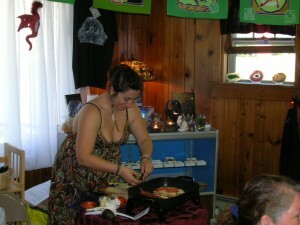 Of course being a Kitchen Witch she also discussed the magical associations of those foods as well. As much fun as it is to listen to Dawn speak, it’s WAY more fun to get to eat what she’s talking about and she cooked up a TON of food for us all to try! We got to eat Mushroom Asparagus Risotto, Tomato Caprese (tomato and mozzarella salad), Mixed Berry Salad, Refreshing Watermelon Salad, Peach Shortcake, and Sunshine Sandwiches (grilled chicken, bacon, swiss cheese, avocado, tomato, lettuce, and herbed mayo, on grilled whole wheat bread). It was enough food to keep me and Jim nice and full for our drive back home.